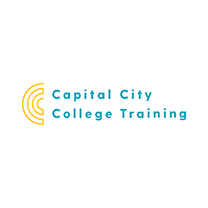 Capital City College Training (CCCT) is the employer facing arm of the Capital City College Group. We have 37,000 students in London over 11 sites and over 2,000 staff. CCCT provides London’s businesses with the skills that they need to grow. Entrepreneurs and Start-ups will benefit from our apprenticeship service where we can find employees without any recruitment fee. Government funding means that the cost of training is subsidised between 90% and 100%. Hourly rates for apprenticeships and other tax breaks make an apprentice an affordable way to employ extra staff as you grow.